Feathers and boas that are well cared for will last much longer. If you want to get the most out of your event or wedding décor, you need to know how to keep everything looking its best. The good news is that ostrich feather maintenance isn’t difficult and doesn’t take a lot of time. Preserve your gorgeous feathers and boas for far longer by applying the methods listed below. To insect and rodents, your ostrich feathers and boas make ideal nesting material. Make sure the place you plan to store your feathers is completely pest-free. 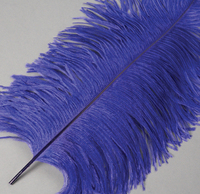 Once unwanted inhabitants find their way into your feather décor, it will likely have to be thrown away. An old shed or garage that’s not well sealed is not an ideal storage option for this type of material. Some peacock and ostrich feathers may experience a slight odor due to storage regulations. If you notice any displeasing scent on your feathers, there’s a very easy way to remove it. Just layer the feathers and/or boas inside a sturdy pillow case and add a few anti-static dryer sheets. Let the pillow case sit for a while so the sheets can absorb any smells. Do not place feathers in the dryer. Feathers and boas can lose their pleasant fluffiness over time. Don’t worry, you can get them right back to their normal thickness simply by steaming. To begin, rub feather strands between your fingers to help fluff up single strands. Next, boil a pot of water. 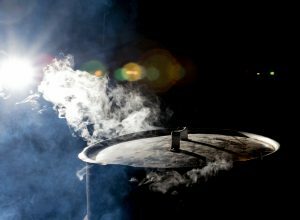 Once the water is boiling, cover most of the top with a lid so that a small area of steam is being released. Carefully hold your feathers and boas within the stream of steam. This moisturizes the feathers and makes them open up. Once the feather has opened, you can remove it from the steam. Additional steaming will have no effect. Remember to use caution when holding feathers throughout this process because steam can get very hot.